This baby puppy hat is so cute! It is made of soft acrylic yarn. Adorable and fun! Perfect for a newborn photo shoot! Larger sizes are available for an additional fee. If you are interested in a larger size, please let me know via convo or send a custom order request under this listing. The colors of the hat pictured are heather with soft taupe. Please see the color chart and let me know what you'd like in the "note to seller" box. If no color choice is given, hat will be made in the colors shown. Please measure your child's head and compare with the available sizes before placing your order. All of my items are made in a smoke-free, loving environment. Photos courtesy of Ashleigh Rachel Photography. This came earlier than expected n I'm so happy about that. It's adorable and well made! Just beautiful craftsmanship and a great quality material. Beyond my expectation!! Obsessed! Can’t wait to take photos of it :) perfect newborn prop and gift. Payments are accepted through PayPal and Etsy Payments. Most forms of payment are accepted through these systems. Because most of my items are made to order, I cannot accept cancellations. I want you to be completely happy with your item(s). Please contact me within 24 hours after receiving your item if you are not satisfied with it, and we can work together to come up with a solution. ~If the item is to be returned to me, payment will be refunded once I receive the item back. Shipping costs will NOT be refunded. ~If the item is to be exchanged for a different size, buyer may ship item back to me at their expense. Once I receive the item I will either alter it to the size desired or create a new item. Buyer will be sent an invoice for shipping cost, and once that is paid the new item will be shipped. I have listed all of my colors available with a photo, as well as in depth sizing charts to ensure your item is made to fit. I ship all of my items via USPS First-Class with tracking. I can not be responsible for any delays with shipping. Once I send packages off they are out of my hands and I cannot take responsibility for any issues with USPS. 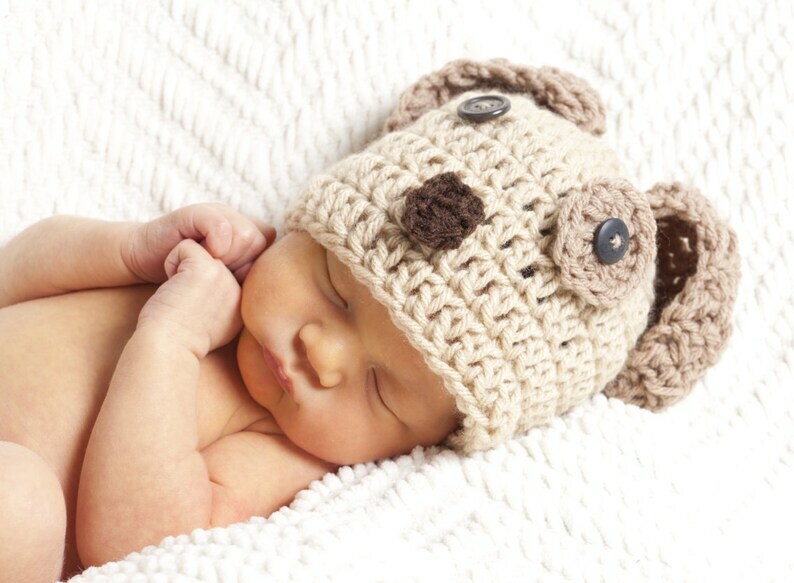 Made to order crochet items are typically crafted and shipped within 3-5 business days after order is placed. Please check my shop announcement for current processing times before placing your order as the processing time can change from time to time. For any packages returned to me as "undeliverable" - I will notify the buyer and send an invoice in the amount it costs to re-ship the item to a new, working address. I typically do not wrap any items, as I like to keep my prices reasonable for buyers! If you would like any special wrapping, let me know. Please note that buttons may vary slightly in color and size. Normally, I use coconut/wooden buttons. They are always around 1" in diameter. Some listings ask you to add specific information in the note to seller box at checkout, such as color or style. If a color choice or style is not given within 24 hours of purchase, I will make the item in the color(s) or style shown in the listing sample photo. Please, please, please note that babies can never be left unattended with ANY item from this shop. Many hats, cocoons, and headbands have small buttons or long ties.